Along with ESWL, ureteroscopy is a preferred method for the treatment of small-to-medium sized kidney stones located in any part of the urinary tract. 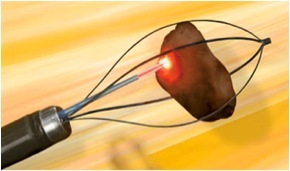 Tulane University was one of the first centers in the country to offer ureteroscopic stone treatment. Our highly skilled endourologists are available to offer advanced ureteroscopic stone management. Although slightly more invasive than shockwave lithotripsy, ureteroscopy may be the preferred option if you have certain types of hard stones that don’t respond to shockwave lithotripsy, or a stone that is not visible on X-ray. In addition, ureteroscopy is often preferable to shockwave lithotripsy for stones that are low in the urinary tract, in the region approaching the bladder.